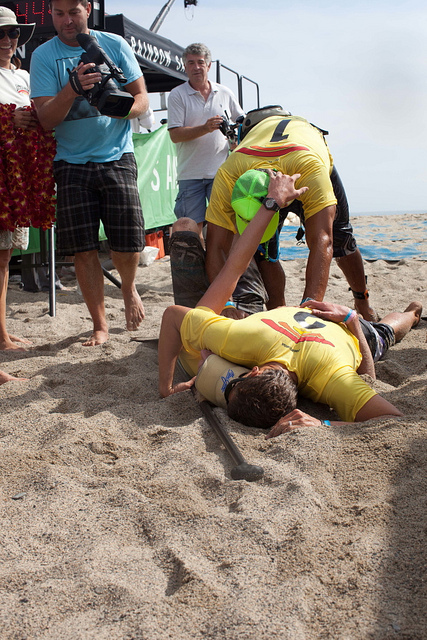 There have been seven editions of the Battle of the Paddle since the iconic race kicked off in 2008: 5x in California (2008-) and two in Hawaii (2010 & 2011). In 18 days time we’ll see the eighth edition while later this year we’ll see a third destination with the Battle of the Paddle Brazil, but until then let’s look at some random stats from the past five years. Connor Baxter (Hawaii), Jamie Mitchell (Australia) and Danny Ching (California) after the 2011 Elite Race. Those three names (and regions) are a common sight on the podium. The dominance by Australia, Hawaii and California at the Battle of the Paddle is clear. No other region comes close to matching their depth of paddling talent, at least not at this race. Only Georges Cronsteadt (4th in California 2011) and Annabel Anderson (3rd in Cali 2011 and 1st last year) have been able to break the lock these three powerhouse regions have on the BOP. The Man won the BOP California Distance Race in 2009, 2010, 2011 and 2012. Danny also won the 2010 & 2011 BOP Hawaii Distance Races. There was no Distance Race at the 2008 Battle of the Paddle, which means NO OTHER GUY has ever won* the Distance Race… that’s quite an incredible achievement. If only we could bet on SUP racing, this would be easy money. After not competing in 2008 and finishing 19th in the 2009 (albeit after sustaining a major injury mid-race), Connor Baxter has charged through the ranks, culminating in his victory ahead of Jamie Mitchell and Danny Ching at the 2011 Battle of the Paddle. Connor will probably start favourite to won his second Elite Race later this month. Annabel, Candice, Jenny, Brandi, Gillian. The exact finishing order changed from year to year, but the podium didn’t. The Queen of the BOP has three runner-up finishes to go with her four victories. He’s raced in every single Elite Race since. In 2009 Slater finished 2nd behind Jamie Mitchell and in front of Danny Ching. At age 14. The Open Race at the Battle of the Paddle California might not have the big names that the Elite Race does, but it certainly has more participants. 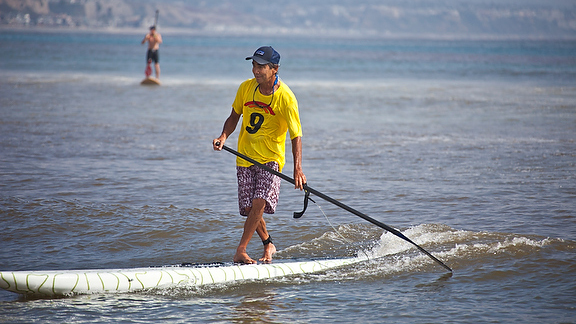 The race has continued to grow each year and was officially declared “Largest SUP Race Ever” by Guinness World Records at the 2012 event. Can it possibly keep growing this year? At the 2010 Battle of the Paddle in California 129 guys lined up for the start of the Elite Race. There was no cap on entries, so all you had to do was pay your money and you were straight into the most prestigious SUP race in the world. Anyone that’s competed in the Elite Race will know that 129 is waaaay too many guys to have on the course at one time (there were also 30 elite women, just to make it even more crowded), so in 2011 organisers introduced two qualifying heats and instantly made the average level of competition in the Elite Race Final much higher. These days it’s quite an achievement to make the Final. At BOP 2013 I’m predicting that several well known names won’t even qualify, that’s how deep the field is running these days. Just in case you somehow don’t know who the guy is (shame on you), Gerry Lopez is an absolute legend in the surfing world and an all around zen master. He has one of the most recognisable names in surfing and is universally respected around the world. “Mr. Pipeline” is also good friends with the man who owns and manages the Battle of the Paddle, Jay “Sparky” Longley, the founder of Rainbow Sandals (the title sponsor and company that bankrolls this event). Having Gerry’s name in the title of the biggest event in SUP reflects on another major event, the Pipe Masters. Surfing’s equivalent to the BOP has long been known as the “Gerry Lopez Pipeline Masters” in honour of Gerry’s contribution to the sport, especially at Pipeline. 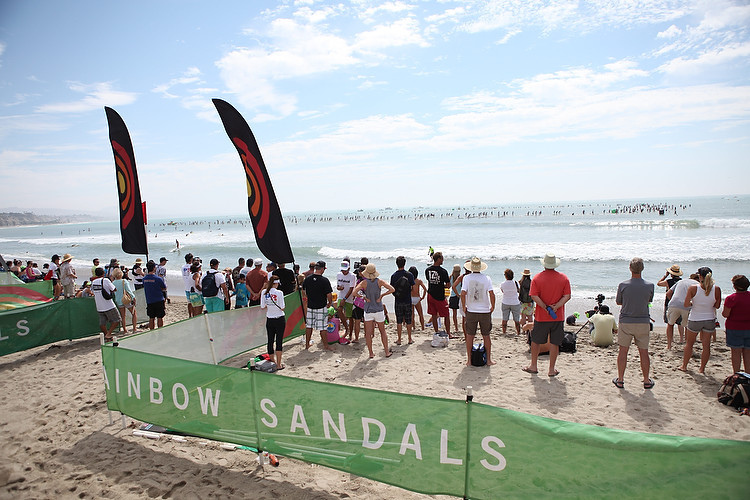 Back in 2008 the Battle of the Paddle started with a bang, offering an unprecedented $25,000 prize purse. Over the five years since, the money has remained unchanged yet still no other SUP race has been able to take the BOP’s crown as “most lucrative race in the world.” That’s changing however, with two or three events set to be announced in the next month that will offer above the $25k mark, but for now at least, the BOP remains king. Interestingly, the first two years awarded $10,000 to the men’s Elite Race winners but since then it’s been scaled back to $5,000. 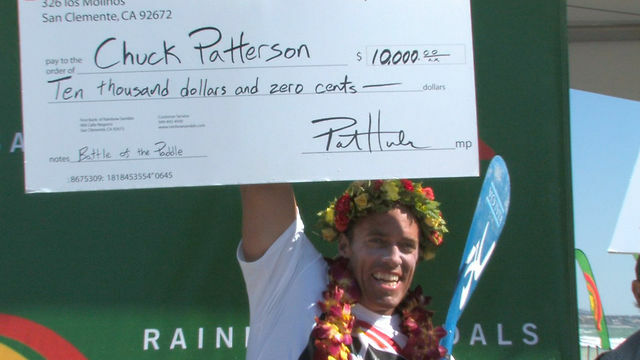 Despite the explosive growth of SUP racing over the past few years, those 2x $10,000 cheques (Chuck Patterson in ’08 and Jamie Mitchell in ’09) still remain the single biggest prizes the sport has ever seen. 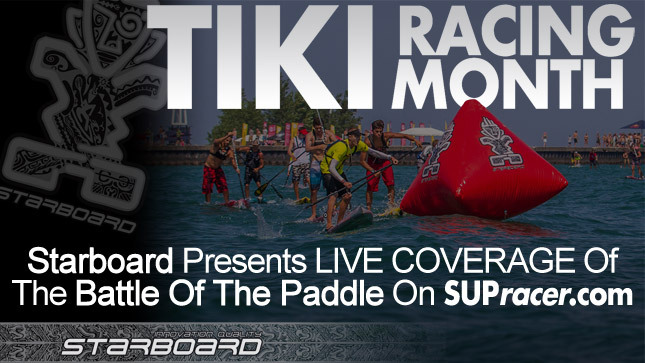 Despite not officially having “World Championship” in the event title, the Battle of the Paddle is unofficially known as the one true World Championship of SUP racing among the elite paddlers. There are several other events vying for the title, some more successfully than others, but the BOP is still the only race that attracts virtually all of the elite talent every single time. 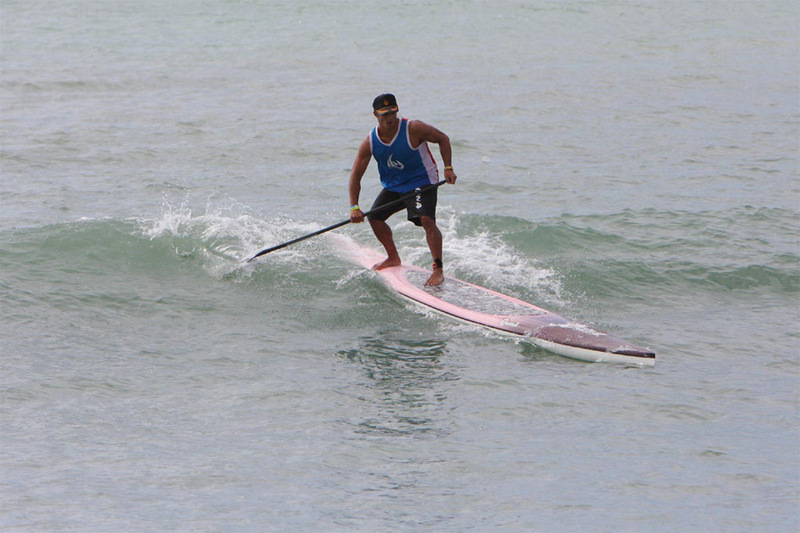 The Battle of the Paddle is unmatched in terms of elite paddler participation and is only matched by the Molokai-2-Oahu in terms of prestige (with Molokai considered the ocean racing world champs while the BOP is the surf racing world champs).